42 Bombas - Puerto Rico is Music! The next time you participate in a bomba session try one of these bombas. They were carefully chosen to make sure you don’t get a “no sabe ná” after you recite your verses. y te lo coma un ratón. ¡el que no aprieta no goza! y me tiraste una flor. sin el tiesto, por favor. hasta que construí un castillo. y me dices si está frío. y lo meta en una lata. nadando como todo un campeón. el truck de la basura. creyendo que era tu hermano. y eras tú tirando peos. hasta baños hay que limpiar. un miembro que me llega a la rodilla. que ya el roto esta echo. entre medio de las patas. el mal pago que me diste. nunca me vas a olvidar. si yo te pudiera besar. con tu manera de amar. like what you’ve acquired here, certainly like what you’re stating and the way in which you say it. you made blogging look easy. The entire glance of your web site is magnificent, as neatly as the content! web page conations truly nice funny stuff too. If some one wishes to be updated with most up-to-date technologies afterward he must be pay a visit this site and be up to date daily. with some unique thoughts on this issue. Seriously.. thank you for starting this up. 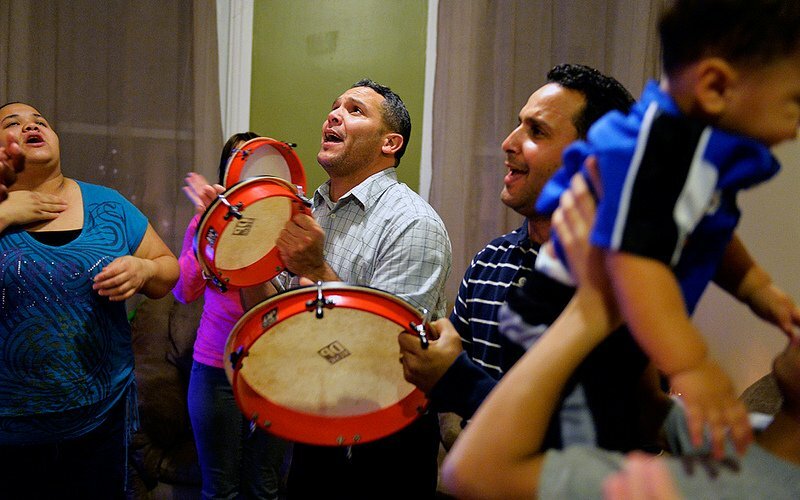 Thanks for finally talking about >42 Bombas – Puerto Rico is Music! Thanks for one’s marvelous posting! I really enjoyed reading it, you can be a great author.I will remember to bookmark your blog and will eventually come back later in life. Stay up the great work! You recognize, a lot of persons are searching around for this info, you can aid them greatly. is popping it up all over the internet without my permission. Do you know any ways to help reduce content from being ripped off? Hi there, its nice piece of writing concerning media print, we all be aware of media is a wonderful source of facts. What i do not realize is in reality how you’re no longer really a lot more smartly-preferred than you might be right now. consider it from so many various angles. Its like men and women are not fascinated until it is something to accomplish with Lady gaga! work! You know, many persons are looking round for this information, you could help them greatly. Wonderful goods from you, man. I’ve keep in mind your stuff previous to and you’re simply extremely wonderful. I don’t even understand how I ended up here, but I assumed this publish was great. are going to a faamous blogger for tnose who are not already. and I was curious about your situation; many of us have created some nice practices and we are looking to exchange strategies with other folks, why not shoot me an email if interested. It is not my first time to visit this web site, i am browsing this website dailly and take good data from here every day. I know this website provides quality based content and other stuff, is there any other web page which gives these kinds of data in quality? Thanks to my father who told me on the topic of this weblog, this weblog is in fact remarkable. Your means of explaining the whole thing in this post is truly good, every one be able to without difficulty know it, Thanks a lot. writing, in my view its really remarkable in support of me. Jarret Un ane en gratte un autre. I seriously enjoyed reading it, you are a great author. I will be sure to bookmark your blog and will come back later in life. What i don’t realize is actually how you are no longer really a lot more neatly-appreciated than you might be right now. You’re very intelligent. You realize thus significantly on the subject of this subject, produced me personally consider it from numerous numerous angles. in fact excellent data in favor of readers. What’s up friends, its enormous post on the topic of cultureand fully defined, keep it up all the time. no one else realize such certain approximately my problem. Just desire to say your article is as astonishing. The clarity in your publish is just great and i could think you’re knowledgeable on this subject. Fine along with your permission allow me to grasp your RSS feed to keep updated with impending post. make certain to do not disregard this web site and provides it a look regularly. Hey very cool site!! Man .. Excellent .. Superb .. I’ll bookmark your site and take the feeds also? here regularly. I am reasonably certain I will be told many new stuff proper right here! These are actually reat deas in concerning blogging. Any way kesep up wrinting. into the business market could become a significant source in the coming years. Hiya! I just wish to give a huge thumbs up for the great data you’ve here on this post. I will be coming back to your weblog for extra soon. Thank you for the good writeup. It in fact was once a entertainment account it. Glance advanced to more delivered agreeable from you! By the way, how can we communicate? Admiring the time and energy you put into your blog and in depth information you provide. It’s awesome to come across a blog every once in a while that isn’t the same out of date rehashed material. Excellent read! I’ve bookmarked your site and I’m adding your RSS feeds to my Google account. never found any ineresting article like yours. It is pretty worth enough foor me. In the awesome design of things you secure a B- for effort. Exactly where you actually misplaced me was on all the details. As people say, details make or break the argument.. And it couldn’t be more correct here. Having said that, permit me say to you exactly what did work. Your authoring can be extremely engaging which is most likely why I am making an effort in order to comment. I do not really make it a regular habit of doing that. 2nd, while I can easily see the jumps in reasoning you come up with, I am not necessarily sure of exactly how you seem to connect the ideas which in turn help to make your conclusion. For the moment I will, no doubt subscribe to your position however trust in the near future you link the facts much better. I’m not sure whyy but this site is loading very slow foor me. I’ll check back later and ssee iff thhe problem stijll exists. This is perfect for myclique on GPLUS-linking! Piece of writing writing is also a fun, if you be acquainted with afterward you can writge if not it is complicated to write. and finally got tthe bravery to go ahead and give you a shout out from Dallas Tx! Just wanted to say keep up the gret job! This is better info than I can find anywhere else. This post is invaluable. When cann I find out more? I nearly never post comments on weblogs, but I like to say I appreciate reading through this weblog. Typical I weblog about senior dating 70 plus. I am confident I have discover much more about how to compose a blog submit, by looking through your blog!! Postt writing is also a excitement, if you know then you can write or else it is difficult to write. While both will surely be expensive for you personally, when you build, you will discover areas that one could assist to save your precious dollars for other activities. the internet can be mucdh more useful than ever before. This paragraph posted att this website is in fact good. I cold get it too load properly. I had been wondering if your web hosting is OK? I’m not sure where you’re geetting your information, but good topic. Thank yoou for excellent information I used to be on the lookout ffor this info for my mission. Good post. I study one thing more challenging on totally different blogs everyday. It can always be stimulating to read content material from different writers and observe a bit of something from their store. I’d desire to use some with the content on my weblog whether or not you don’t mind. Natually I’ll offer you a hyperlink in your web blog. Thanks for sharing.